Regular readers may well be aware that Man in Chair could easily watch La Traviata every night until time immemorial. 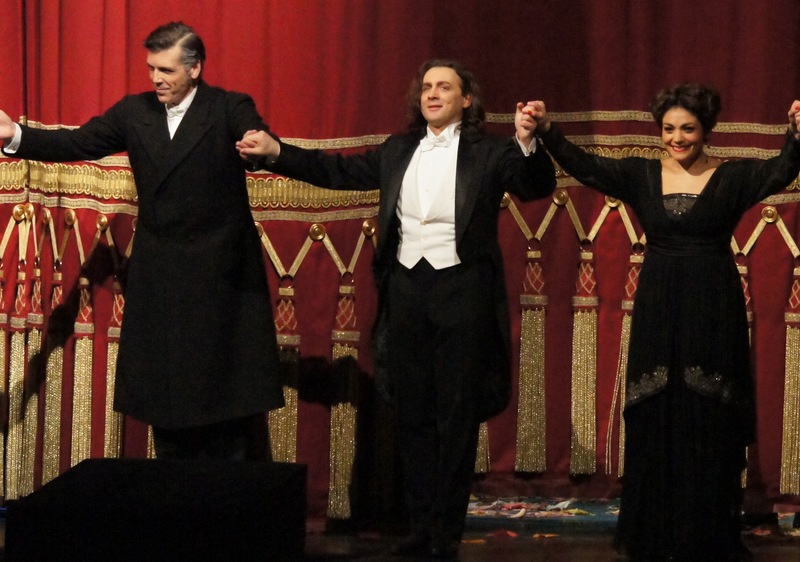 Only three nights since reviewing Damrau, Beczala and Lucic in La Scala’s new La Traviata, Man is back in Chair, this time at Munich’s Nationaltheater, where exquisite singing triumphs yet again, with three stunning lead performers surpassing the mediocre nature of this underwhelming production. 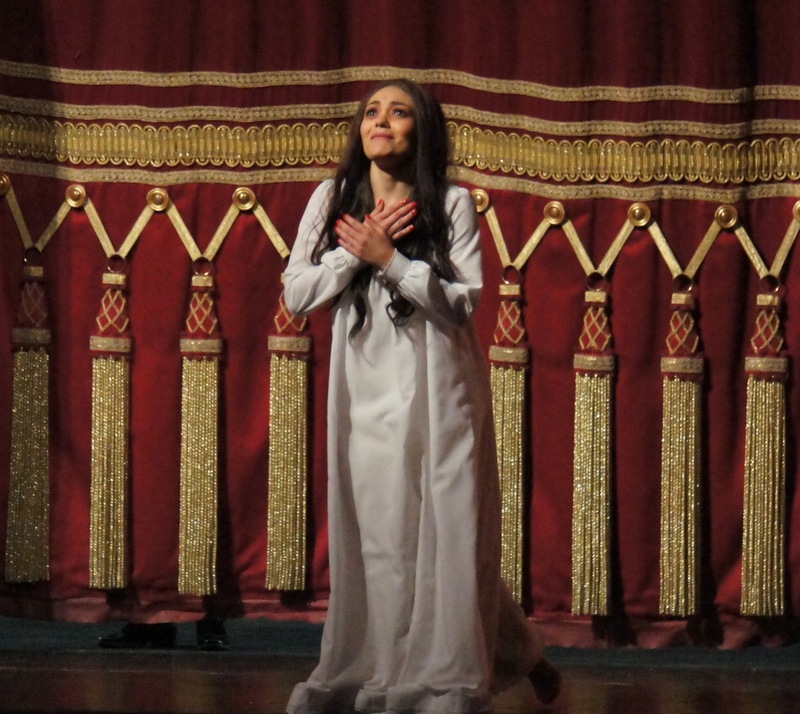 Ailyn Perez ably demonstrates why she is held in such acclaim as Violetta, her radiant, delicate beauty and lustrous, sensitive soprano suiting the role perfectly. During the death strains of the overture, we see a group of men, presumably gathered in mourning over the tale’s tragic end. Perez enters, dressed in flowing, virginal white with red carnation. Women in turbans and men in top hat and tails dance a merry conga to the festive party music. Jolly idea though this is, it must be noted that this movement is embarrassingly sloppy and distracting, appearing in dire need of further rehearsal. The action of act one is set in front of a row of doors, open to reveal further red doors within. Enticing though the main image is, it means that four fifths of the set is just a plain black wall. Italian tenor Ivan Magrì is a thrilling discovery as Violetta’s ardent admirer Alfredo. Formally dressed but with long unruly curls, Magrì portrays the usually timid Alfredo as an unruly youth. Magrì has a naturally powerful volume, and his middle register is surprisingly rich given the soaring high notes he produces. Through “Ah fors’é lui,” and a magnificent “Sempre libera,” Perez demonstrates the seemingly effortless, supple beauty of her voice, switching from delicately caressing piano notes to soaring in full volume to high notes with ease. The reason for the autumn leaves on the ground in act one becomes clear in act two with the yard of Violetta’s unkempt country house having seen better days. A swing, deck chairs and overturned umbrella are a reminder of the carefree days once spent here. 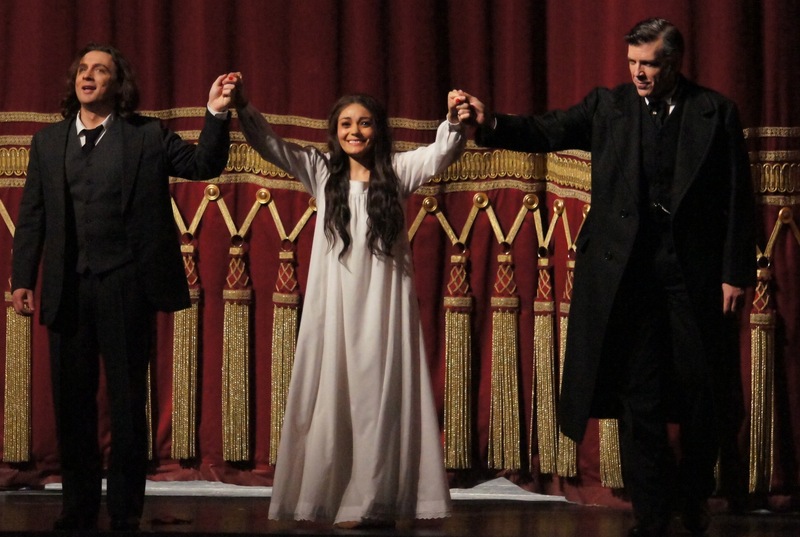 As predicted, based on his strong beginning in act one, Magrì gives a superb rendition of Alfredo’s pair of arias, ending “O mio rimorso” on a sensational long and strong high C.
Perez’s petite frame helps portray Violetta’s weakening condition, and allows Thomas Hampson, as Alfredo’s father Giorgio Germont, to tower over her. Giorgio loses a little of his power in the scene by having to sit on the picnic rug with Violetta, but he has an ace up his sleeve, having brought along the precious daughter we usually only hear about but never see. As the scene progresses, Hampson’s finely honed acting skills allow him to convey the inner torment Giorgio feels in separating the young lovers to save his family’s name. Perez enhances our sympathy for Violetta with particularly soft and sweet singing in the duets with Hampson, who is in excellent voice himself. 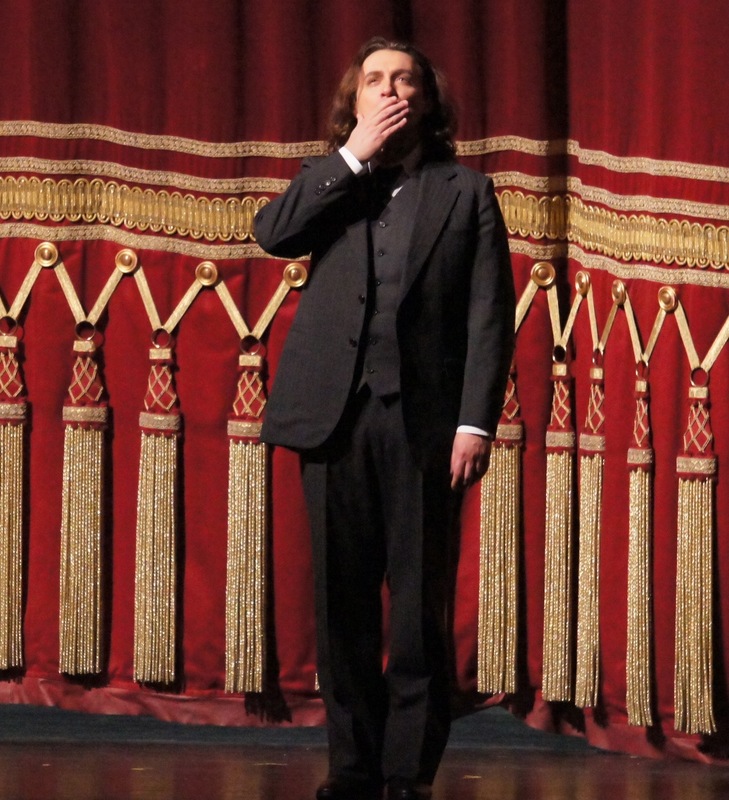 Magrì’s long hair allows to play Alfredo as a petulant, rebellious young man as his father sings to him. As Flora’s party begins, a brief scene is played in front of the house curtain as if this was a junior high school production. Then, the ensemble sings the gypsy and matador choruses in almost complete darkness. As in act one, Violetta is shown as having virtually no connection with the crowd, many of who are meant to be her friends. Perez, Magri, Hampson and chorus end the act with powerful, emotion-filled singing. For act three, we are back in front of the plain black scrim, as if this is a concert staging, with Violetta suffering the indignity of spending her final moments on a mattress on the floor. During the carnival music, a chorus of spooks in black masks torments her, with Flora’s chandelier seen decrepit on the floor. In the haunting final image, Violetta walks towards the light, coming from a door at the rear of the stage. 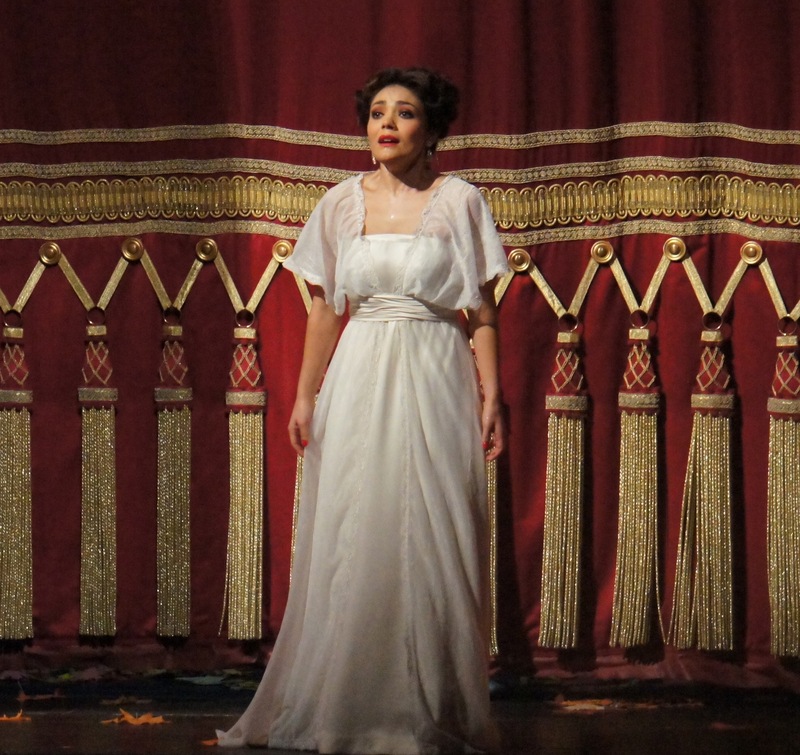 Perez uses yet another facet of her beautiful voice for “Addio, del passato,” inflecting a slight tremolo to convey Violetta’s weakness and regret. When joined by Adolfo for “Parigi, o cara,” Magri’s volume is a little loud for Perez, who is trying to portray a weak, dying woman. Impressive has his exceptional volume level is, Magri may need to work on adapting his tone to suit the situation, an aspect that is sure to come with experience. 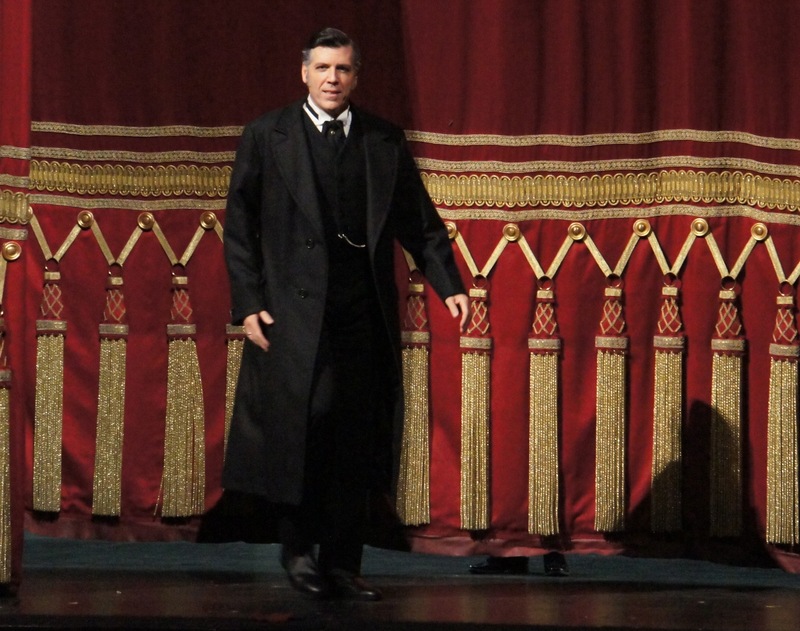 La Traviata was reviewed on 6 January 2014. It returns to Nationaltheater, Munich in April and July 2014. To see production images of La Traviata, click HERE.